Owner’s Suite Features – Create Your Own Oasis! Your owner’s suite is your very own getaway to escape from the outside world. Have you put more effort into your living spaces, children’s room, outdoor areas, etc. and maybe neglected your owner’s space? It’s time to start thinking about what YOU want and create your dream owner’s suite! Here are five features to think about when designing your new space. VAULTED CEILINGS – Whether it is a box vault ceiling or a cathedral vault, adding ceiling height can make your space seem larger. It also gives you the opportunity to add in a unique chandelier or light fixture and beams. If you don’t have the option to vault your ceiling, consider an accent wall for an alternative. Whether it is paint, wainscot, shiplap, or other, an accent wall is a great way to also add some dimension to the space. FIREPLACE – When you live in the cold tundra of Minnesota, you can never have too many fireplaces in your home! 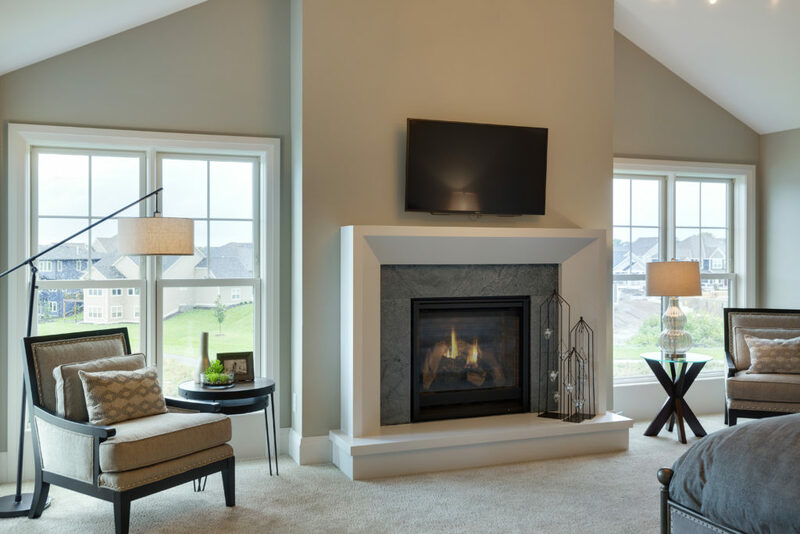 Adding a fireplace in your owner’s suite adds a warm, welcoming feel to the space that will make you never want to leave. SITTING AREA – If you have the space, use it! Designate an area in your room for a couple lounge chairs or a chaise lounge to make it easier for you to sit down and enjoy some peace and quiet in the confines of your own space. EXTRA CLOSET SPACE – Odds are your current closet situation is cramped and doesn’t provide enough space for all of your things; clothes and shoes galore! 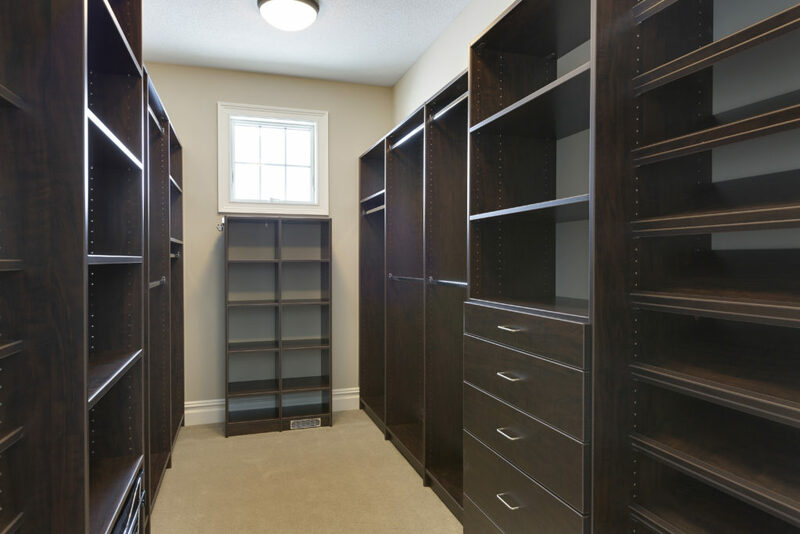 If you don’t have the space to expand the walls, think about investing in a new closet organization shelving system to maximize the space you have. If you DO have the ability to build a larger closet, do it! Custom design the space to fit everything you need AND MORE. You can never have too much closet space! AUDIO – No need to carry around that cumbersome Bluetooth speaker if you install built-in speakers throughout your owner’s suite. Play music from the touch of your phone or tablet throughout your bedroom, bathroom and closet space! If you are installing an audio system throughout the rest of your home, consider running some extra wire to your owner’s suite, you won’t regret it! What does your dream owner’s suite look like? We’d love to hear from you! Check out more inspirational photos in our photo gallery.